303 UV Protectant brightens surfaces and keeps them looking newer, longer. This formula provides superior UV protection for any rubber, finished leather, plastic, vinyl, eisenglass, PVC, gel coat & fiberglass surfaces. Not for use on unfinished leathers (such as suede), fabrics (canvas) or floorings. 303 UV Protectant not only protects against fading, discoloration and cracking from harmful UV rays, but repels dust and stains too helping to extend your cleaning. 303 UV Protectant is an easy to use spray on formula that comes in a 16 fl. oz. bottle with trigger sprayer. 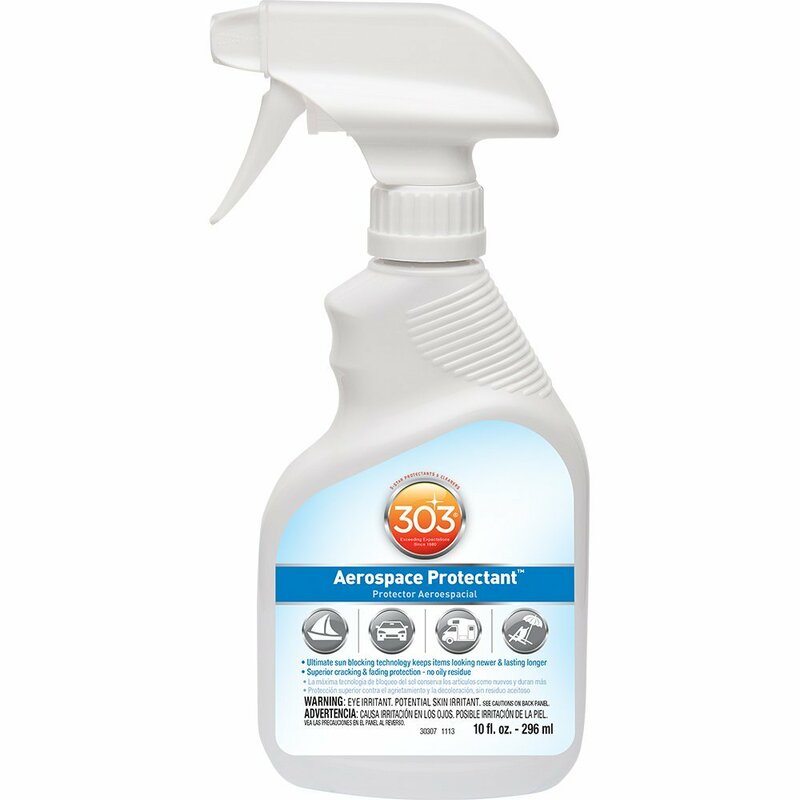 Originally engineered for aerospace and aviation applications, 303 Aerospace Protectant has found its way into millions of homes for day-to-day use on vehicles, sports equipment and more. Unlike many protectants that leave greasy residues, Aerospace dries to a clear matte finish without a trace of oil. And because it’s water-based, this protectant is safe to use on all products, from your vehicle’s paint job and leather seats to internal engine parts. There’s a lot of power packed into this one product. A premium surface treatment, Aerospace not only protects against fading, discoloration and cracking from harmful UV rays, but repels dust and stains, too. 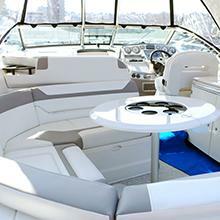 Spray on your vinyl boat seats to prevent them from fading and cracking during boating season. 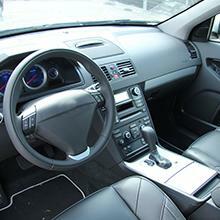 Will also help keep them clean from dust, sand, and will help prevent those dreaded sunscreen stains. Use on your vehicle’s dashboard every 30-45 days, to protect it from the sun’s harmful UV rays, preventing fading and cracking over time. Spray on tires to make them look new without the greasy film. 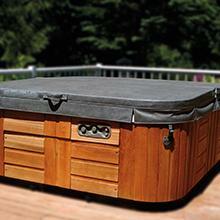 Use on your convertible top to keep it pliable and cleaning up easier. 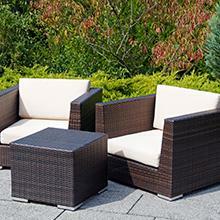 Keep your plastic, metal, or wicker outdoor patio furniture from fading, cracking and chalking. It will also help repel dust, dirt and grime, that can quickly accumulate on your furniture during the enjoyable BBQ season.